Today was a good day for the Danish rocket builders Copenhagen Suborbitals. They launched the small rocket Nexoe (Nexø) 2 this morning Danish time from a self built sea launch platform about 35km West of the island Bornholm in the Baltic Sea. The rocket fired perfectly and burned for 33 seconds, and reached an altitude of 6.500 meters, the parachute unfolded beautifully and the rocket was recovered nicely.The launch was streamed with a somewhat interrupted stream via Youtube. The interruptions in the streaming are due to the distance, and some rising water vapour in the warm (for the time of the year) Baltic Sea, and also due to the large distance and wide bandwidth of the signals. I followed the stream from about half an hour before launch, until the rocket was recovered and brought to the launch control ship. The planned maximum altitude of 13000m was not reached, because the burn time for the engine was only 33 out of the planned 45 seconds, but never the less I consider today’s flight a strong success, many new systems were tested, and functioned well. 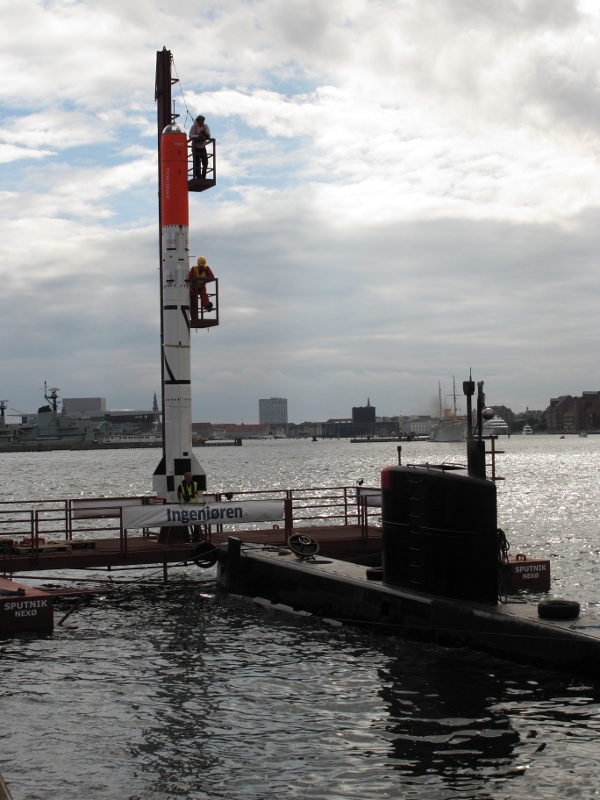 Congratulations to Copenhagen Suborbitals with the successful launch. Space Age Anniversary : 60 Years of Space. The space age is 60 years old today. October 4th 1957 the Soviet Union launched the first artificial satellite to orbit the Earth : Sputnik, sending it characteristic “beep-beep-beep” signal to Earth on 20 and 40 MHz. The satellite weighed about 83 kilograms and sent the beeps till the battery ran out. Kepler Space Telescope Has Found a Strange Star. The Kepler space telescope has discovered a most unusual star in its search for exoplanets a long time, but erratic dimming of the light, – up to 20% dimming, which is *a lot*, over a longer period. There are several hypotheses investigated, including a swarm of comets, or …. just maybe …. a structure built by an alien civilization. Now, I remember the buzz a few decades ago, when the first pulsars were detected, and some thought the precision of the pulses had to be artificial but – as it turned out – it was a natural phenomenon of a fast rotating neutron star. 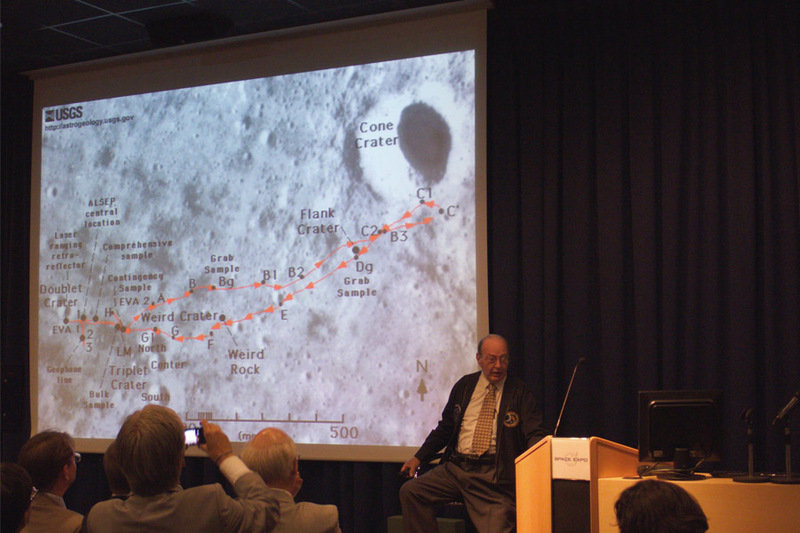 I just edited another of the pictures from the meeting with Ed Mitchell at Space EXPO. This shows that longest of all the Moon walks in the Apollo program. Apollo 14’s. From Apollo 15 on They brought a Moon Rover, so they had much less walking on the Moon. 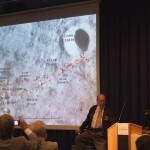 Apolle 14, the longest of the Moon Walks. I may add a few more pictures later. A long time ago I saw some single episodes of Farscape. I had a bit of trouble getting into the “muppet” style. At Fedcon in Germany some of the guests were Ben Browder and Claudia Black. Their panel was a hoot, and, apart from Stargate, they talked quite a bit about Farscape, and how they enjoyed it. At Phoenix Comic Con, two weeks later, just before the big Babylon 5 Reunion Panel – we had Gigi Edgley and David Franklin – also quite an enjoyable panel. Yes – all (well, mostly) about Farscape. So, I decided to get started watching Farscape, in the correct order. I can appreciate the characters quite a bit better now, and I have finished the first season. Very enjoyable season, when it gets going, a bit of single episodes, but still with some good vharacter moments and development. Now, before I continue with Farscape, I decided to take a look at the old BBC series “The Prisoner”. I have heard a lot of good about it, and, even if I have not seen it, I know a few references in other shows. In 2010 I became aware of a group in Denmark Copenhagen Suborbitals. The group is building rockets, rather big ones, no New Year’s fireworks. Given the size of their vehicles they could not get permission to launch from land (Denmark is a small country, and has no large deserted areas). What did they do ? Easy ! If you can not launch from land, then it must be from the sea. In the summer 2010 I went to the presentation of their Mark 1 sea launch platform, named Sputnik. It was set to sea carrying the rocket, using a crane. This is one of the better pictures I got from the presentation. The Mark 1 of the platform is not self powered, so they used another self made project for propulsion of the platform, yes, it is a submarine you see on the picture. The rocket itself is 9m (30ft) tall and 60cm (2ft) diameter. The first launch attempt later in the year failed. The count went down to 0 and – nothing happened. Well, the pyrotechnics went off as expected, but the rocket stayed in place. The failure was due to a frozen valve for the liquid oxygen. They learned a lot about procedure and tech from the failure, and one year later, June 2011 a modified rocket and launch platform (this time self propelled) were used. Counting down to 0 and – nothing happened. After a look at the telemetry it was found that the launch signal had not arrived, and 10 – 15 minutes later another attempt was made, and off it went. I do not have pictures from that event, since only active members of the group were allowed in the area. They did, however publish a press kit on the website. Their criterion for success was that the rocket lifted itself above the platform, the flight went up to about 2km when the flight was aborted from the ground, in order to stay within the designated area. The rocket had no active steering and veered off like a missile. The “payload” was recovered, but not the engine stage. More on this project later. In 1998 I was looking to get to see a meteor storm from the Leonid meteor shower. It peaks every 33 years – with variations in the size of the peak. Following the most common predictions of the peak I made ready to stay up for a night. But – as my luck (or lack of it) was – the show did not happen on that night . . . A slightly different, but even more spectacular show of a fireball meteor storm came one night BEFORE the prediction. Many people missed the opportunity, and so did I. A colleague of mine was up in the middle of the night and thought, “fireworks at this time of the night ?”. When he looked out there was one bright fireball after the other appearing in the sky. The following night I stayed up, and essentially nothing happened. What a disappointment. Some people claim that it was the show of a century – and I missed it. On top of that – it was a clear sky that night, something of a rarity where I live. This is one event where 99.9% is *very* different from 100%. I went to see the show in Northern France in August 1999, and nearly missed the climax of the show. but minutes before totality a small blue patch appeared in the sky, and we got to see totality. Quite a spectacle. I wrote a modest report on the event – with a few pictures, you can find it here. 3. Northern lights – Aurora Borealis. In Denmark where I come from, I have seen the Northern Lights twice in my life. Funny enough, moving further South to The Netherlands I would have expected to see less of it there. But in a shorter time span I have seen Northern Lights at least twice, and even photographed it. The photo is far from spectacular, but it will have to do for me. Enter Norway – to be more precise, the town of Tromsø. There the auroras are a common occurrence. I came across a beautiful time lapse movie made by Ole Christian Salomonsen in Tromsø. I heartily recommend taking a look at the 4.5 minutes of movie, the aurora and his foreground images are – well – spectacular. I just started reading Dan Simmon’s book “Hyperion”, and I still have along way to go. I think it is interesting enough for me to read all the way through, though I am going at a slow and steady pace. Listening to the podcast ‘Dragonpage Cover to Cover‘ I was listening to their Library segment. This is one of the few cases where I felt the enthusiasm for a book so contagious that I went to order it immediately. The book in question is Kim Stanley Robinson’s “Galileo’s Dream”. The theme of Galileo having a peep into the future he, along with other great scientists created the basis for, is intriguing to me. Iran Launches a satellite into orbit. Today Iran is a member of a very exclusive group of countries – those who have launched satellites into space. The then Soviet Union launched the world’s first artificial satellite, Sputnik 1, in October 1957. The United States followed with the successful launch of Explorer 1 in January 1958. France, Japan, China, the United Kingdom, India and Israel followed later . The satellite is called “Omid” which means “Hope” in Persian, and carries experimental control systems, communications equipment, and a small remote sensing payload, according to Iranian news reports. I do find it a bit worrying that a nation with a stated hostile intent towards USA and Israel in particular, and the West in general, now has the capability to deliver whatever type of weapons they have (their secrecy about the nuclear installations, anyone ?) to any place in the world. It remains, however, quite a feat from a nation to do what they have done, so we must have some respect for their technical abilities. Let us hope that they will learn the lesson of the Cold War – and that they will not start a “hot one”.